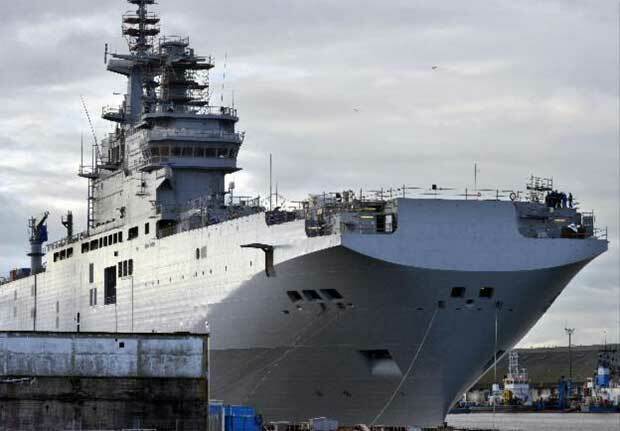 France’s Mistral amphibious assault carrier docked in Nagasaki, Japan on April 29 in advance of military exercises to be conducted with the U.K., U.S., and Japan. Nagasaki is the closest major Japanese port to South Korea, and coming at a time of tension on the peninsula, the French and U.K. naval presence sends a strong message to both China and North Korea. Japan’s increased naval activity is also welcome support for South Korea, and will decrease diplomatic tension between the two natural allies. The U.K. and French presence shows that NATO, including the U.S., is strongly behind South Korea. The effect of these international allied naval forces is to pressure North Korea to abandon its self-destructive drive for ever more powerful nuclear weapons atop long-range missiles capable of reaching North America. The naval forces gathering in East Asia is an alliance of democracies making a point against autocracies like North Korea, and its allies, China and Russia. While North Korea is building nuclear weapons and missiles capable of reaching the continental U.S., China is making more complaints about the U.S. Terminal High Altitude Air Defense (THAAD) anti-missile system emplacement in South Korea than it is about North Korea’s offensive buildup. This is a strong indicator that China remains firmly on the side of its ally North Korea in the current crisis. Russia supports China and North Korea, by calling for de-escalation to the status quo which allows for North Korea to periodically increase its nuclear development without significant consequences. Russia stated that THAAD, which protects South Korea, erodes China’s deterrent. Why does China need a “deterrent” against non-nuclear South Korea? To me it appears more of a threat. President Trump flattered President Xi in recent days, no doubt buttering him up in case the U.S. needs to launch a pre-emptive strike on China. But giving China a good trade deal or concession on Taiwan in exchange for pressuring North Korea, which China should have done long ago, would go too far. Russia and China’s vague calls for peace and negotiation at this point are far too little, far too late. Trump’s tough approach now has China’s nationalist state-owned media, the Global Times, defending economic sanctions on North Korea. Trump should keep up the pressure. It worked in Syria, and it will work with North Korea. That is peace through strength.